OPP087 is a long range passive UHF RFID tag capable of reading on, off, and near metal surfaces,size 87x24x11mm,provides maximum visibility for applications such as Construction ,Oil and Gas ,Logistics/Inventory ,Seaport/Harbor Management and IoT. OPP087 passive RFID tags provide advanced sensitivity for enhanced read rates and range with a read range of up to 9.8 meters. 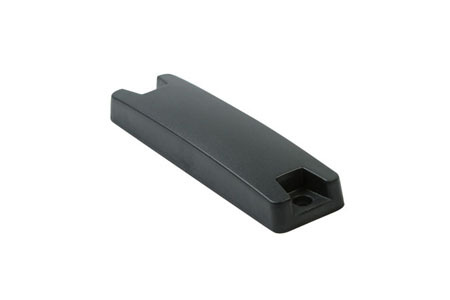 It is encapsulated within a low-profile ruggedized and rigid pc case, allowing OPP087 long range rfid tag to perform very well even in harsh environments. Its outstanding performance and reliability makes it the best cost–performance ratio compare to any products on the market. OPP087 long range passive rfid tag is specifically tuned to have particularly good on-metal functionality together with the compact structure. Besides having the high level performance enclosed in the durable outdoor resistant encapsulation, one of the key designs for OPP087 was to enable relatively wider radio frequency radiation pattern for the tag. This offers higher level of flexibility and reliability in various reader types both with fixed readers and handheld devices allowing improving asset tracking, warehouse managment, and logistics processes.